In 2004, Google undertook a gargantuan project to digitize a massive catalogue of books. With the cooperation of a four university libraries and one public library, Google began scanning and cataloguing millions of books and volumes. In the court’s written rejection of the Settlement agreement, the judge puts the number of books scanned at 12 million (though a recent estimate puts the number closer to 15 million). As part of the deal, Google would give the libraries a digital copy of their own catalogues and would create a master catalogue which would constitute the Corpus of the Google Books collection. In typical Google fashion, this Corpus would be made searchable by the public. For works in copyright, people would only be able to see snippets of the book containing the text of their search. For works known to be in the public domain, the whole work would be viewable by the public. To the objective observer this seems like an all around win for all parties involved. Google grows its value while accomplishing a morally commendable enterprise; The public gains access to a wealth of culture and information otherwise lost or inaccessible; People with visual handicaps suddenly gain access to millions of works never before available to them; Authors of in-print books benefit from the muscle of Google’s impressive search algorithms to funnel otherwise untapped readers into purchasing their full work (once they’ve wet their appetites with the free snippet); Finally, authors of out-of-print books suddenly begin to see revenue again from material that was until now, commercially unavailable. Indeed it seemed as though the Google Books project would bring the world closer to Shangri-La and “open knowledge”. Certain people, however, saw things a little differently. In September 2005, two lawsuits were brought against Google; One by the Authors Guild (Authors Guild v. Google) and the other by 5 major publishers (McGraw Hill v. Google). The Authors Guild’s suit was a class action, ultimately joined by the publishers. The rights holders claimed “massive copyright infringement “on the part of Google. Google contended that their acts were under the protection of the fair use doctrine. Though public domain works were made available in their entirety, only snippets of protected works could be viewed for free. Google also specifically withheld the launch of ads on Google Books so that the claim couldn’t be made that they were engaging in commercial activity somewhat of a faux pas for a fair use defence. To this day, both parties stick by their original positions on the infringement/fair use issue even though such matters are no longer relevant (at least to this case). On October 28th, 2009, a settlement agreement between the plaintiff class and Google was reached. The agreement has taken the form of a massive 166 page document (plus appendices) outlining the rights and obligations incumbent on Google and the plaintiffs. The agreement was originally supposed to cover all authors (including their heirs, successors and assignees) and publishers with an American copyright interest as of January 5th, 2009 (this scope was later changed. See “International Law” below.). Google must also establish a “Book Rights Registry” where rights holders may register to receive royalty payments for their works that are included in the Corpus. Google is to pay $34.5 million to establish and fund the operation of this registry. Not only that, Google must pay an additional $45 million into a settlement fund to pay out rights holders whose works were already digitized by Google without permission (as of May 5th, 2009). In actual fact, the settlement mandates that each author who makes a claim be paid out a set amount making the $45 million a primary figure. Any claims above that amount would still be paid out by Google as they arise and should the number be lower, the remainder is divided among rights holders, not returned to Google as surplus. Google may continue growing the Corpus by digitizing books and inserts. Google may sell subscription based access to the Corpus (such as institutional subscriptions for universities. Google may sell online access to individual books to users in an online store. Google may sell advertising on pages of books. The settlement makes clear that those rights are non-exclusive and can therefore be licensed by rights holders to anyone, including direct competitors of Google. Google must share the revenues from these uses giving up 63% to the rights holders for works published before January 5th 2009. For new works going forward, Google must hand over 70% of revenues from all sales (both subscription and per-use based) and advertising revenue derived from the Corpus- less a 10% deduction to cover Google’s operating costs. The settlement draws an important distinction between two classes of books included in the Corpus: In-print books and out-of-print books. In-print books are those that are still commercially available. Concordantly, out-of-print books are those that are no longer being produced and are not commercially available. An interesting question arises when a publisher offers online versions of books that it no longer prints for retail. Is that book still in-print? It is commercially available but only in a digital format. It’s also worth mentioning that the settlement agreement stipulates the amount to be paid to the lawyers representing the class is $45.5 million. Though this consideration is immaterial to the meat of the issue, it’s still a tad disconcerting that the lawyers are making more than the amount being paid out to establish a registry for the authors of what some say is up to 15 million books and counting. On March 22nd, 2011, Judge Chin of the Court of the Southern District of New York rejected the settlement agreement that received preliminary approval five months earlier. Judge Chin disagreed with Judge John E. Sprizzo on the fairness of the settlement agreement. In truth, Judge Chin had the benefit of reading the hundreds of objections that were filed with the court between the preliminary ruling and his ruling. Before stating his reasons for rejecting the settlement, Judge Chin admitted two factors considered that weighed in favour of approval. First, he commended the “arm’s length negotiation between experienced, capable counsel, with assistance from the DOJ” (Department Of Justice). Second, he rightly asserted that proceeding with a full blown trial (and the inevitable appeals process) would be very lengthy and wildly expensive. · Inadequate representation of the class members: The class of plaintiffs in the case is very large. Google sent 1.26 million notices in 36 languages to copyright holders and potential class members as well as publishers and authors’ rights collectives. For example, Scholars and academics usually publish with a motivation that is very different from a commercial writer. Both are included in the settlement. It is even conceivably arguable that publishers have very different motivations from authors and authors’ rights collectives. · Anti-trust concerns: The settlement agreement would have the effect of giving Google the exclusive monopoly right over all orphan works. This means that any institution or competitor who wishes to make use of or offer any of the millions of orphan works in the corpus cannot do so without paying Google a royalty. Google also has the right to refuse a license to anyone it sees fit. This is a prime example of what anti-trust law is supposed to prevent- anti-competitive and monopolistic behaviour. The fact that this is a settlement for a legal action adds insult to injury in that it would create an injustice, potentially greater than the initial reason Google was sued in the first place. There’s no Fair Use defence in anti-trust for Google to hide behind either. · Privacy concerns: No one is better at collecting data than Google. Would this extend to information about the books we’re reading? Not only will Google know what you’re reading and when, they’ll know for how long, how many pages and which pages you read. This is clearly a breach of our reasonable expectation of privacy. What we read can often be personal. It isn’t the sort of data everyone is ok with others collecting. There is also the fear that such information can be forcibly turned over to government entities by way of the aging Electronic Communications Privacy Act (ECPA). If Google Books ever does get started, don’t be surprised to hear about the F.B.I or the Department of Homeland Security compelling Google to hand over reader data of certain subscribers. Never before has law enforcement been so well equipped with readily available and invasive access into our lives (e-mails, online profiles and even cell phone location data). Google Books subscriber data would simply be one more tool available to them. 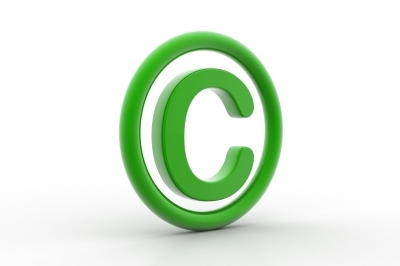 · International law: At first, the settlement was worded to include any book that had a U.S. copyright interest. This would include almost every single book in the world. The U.S is a signatory to the Berne Convention. This means that the U.S. must give equal recognition and protection to any work published or performed in the U.S. regardless of its origin. Objections to this language being used in the settlement resulted in the definition being narrowed to exclude non-American works that were not affirmatively registered in the U.S. Copyright Office. That being said, Canadian, British and Australian works were still included in the settlement regardless of U.S. copyright registration. With this rejection on the books, it’s back to the drawing board for Google and the plaintiffs. Though impressive opposition to the settlement has been mounted, it is unclear whether it will be abandoned entirely or not. The judge alluded to the fact that a matter like this is one for Congress, not the court to decide. Which beckons the question, can Congress really do any better? There are mixed opinions as to how that question should be answered. However, one might posit that regardless of one’s faith in Congress to come to a better result, the Constitution mandates it. The Settlement has far reaching implications on an entire category of works contemplated in the Copyright Act, orphan works. This fact alone should militate in favour of a Congressional rather than judicial response. On its face, this settlement appears to be a misuse of the class action mechanism. In general, a class action suit is usually taken to compensate the victims of damages caused by the plaintiff(s). Though the settlement covers compensatory considerations, it also provides for a forward looking licensing and royalty scheme. This scheme also implicates millions of people who some contend are not being accurately represented by the class representatives. Say that 5 years ago there was a minor oil spill (nothing on the magnitude to the one that recently occurred) in the Gulf of Mexico caused by BP. A class forms that comes to represent all residents and business of Gulf Coast states. In a settlement, to facilitate the pay-out of any future damages caused by an oil spill in the area, BP sets up a compensation fund and a streamlined process by which people can easily make claims. Imagine that BP agrees to put $500 million in that fund to assure that no damage that could possibly arise would remain uncompensated. Fast forward to the events of last year. That settlement, already having been signed and approved would exonerate BP from liability for the astronomical damages it has caused to date (far exceeding the once seemingly adequate sum of $500 million). This scenario helps highlight exactly what may be wrong with a significantly forward looking settlement like this one. Professor Samuelson brings up an interesting point on the future implications of the settlement on the Corpus itself. What if the settlement goes through and 10, 15 or 20 years down the line Google shuts down or goes bankrupt or otherwise? We will all have become so dependent on Google Books that its failure would become an unacceptable reality. A service like this truly is a public good and as such, should be protected. This presents a “too big to fail” scenario in which the Government may eventually have to step in out of necessity. Google also has the right to sell the Corpus to anyone. Some people fear that Google has carte blanche to engage in “price-gouging” considering they are the only source for a large part of the Corpus. Even if we presume Google will not abuse their right, who’s to say the next owner wont? As Samuelson suggests, those who aren’t afraid of price-gouging on the part of Google may reassess that fear should the database be sold in the future. This entire saga started out with Google trying to do what Google does best, cataloguing and indexing data in order to make it searchable. The matter has evolved into what could be one of the most important and impacting copyright cases in history. While experts continue to speculate on possible and desirable outcomes, people concerned with copyright around the world are watching intently as the situation continues to slowly unfold. One of the factors considered in the Fair Use analysis is the purpose and character of the use. It is harder to mount a fair use defence if the use in question is highly profitable to the alleged infringer. That being said, the commercial nature of a use does not automatically preclude it from being fair. The U.S. Supreme Court has even said that this factor is not the most important to be considered. Google makes the updated settlement agreement as well as an FAQ on the settlement available at the following link: <http://books.google.com/googlebooks/agreement/press.html>. An Orphan Work is one where the Copyright owner is unknown or cannot be located but is still under copyright protection. One problem relating to Orphan works is that if they are used without clearing the rights, a task that cannot be completed, the user opens themselves to the risk of the rights holder “popping up” out of nowhere with an infringement suit.